The Trip Clip® Magnet Packs each contain 20 pre-printed, 1 inch, 30 mil thick magnets that are easy to grab and move. 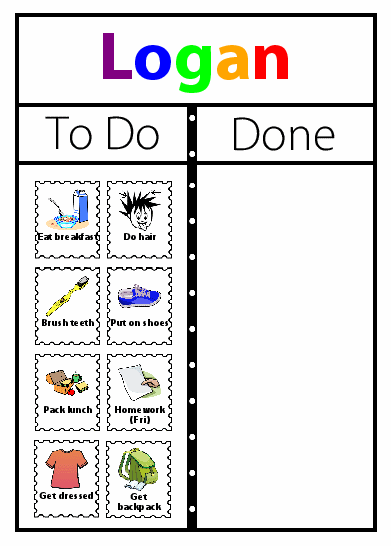 Combine these with a magnetic To Do / Done Board for $9.95 to set up routines that will empower your kids! 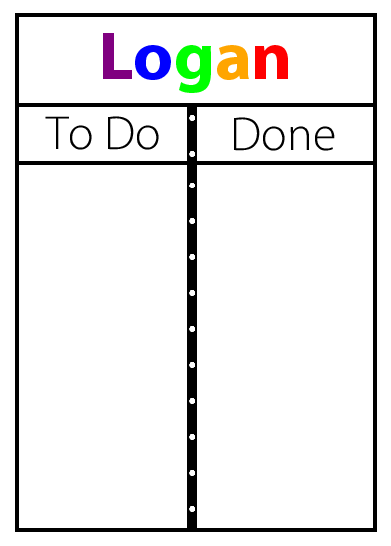 If you don't see what you need here, you can get blank magnet sheets for an additional $3.95 and easily print your own. 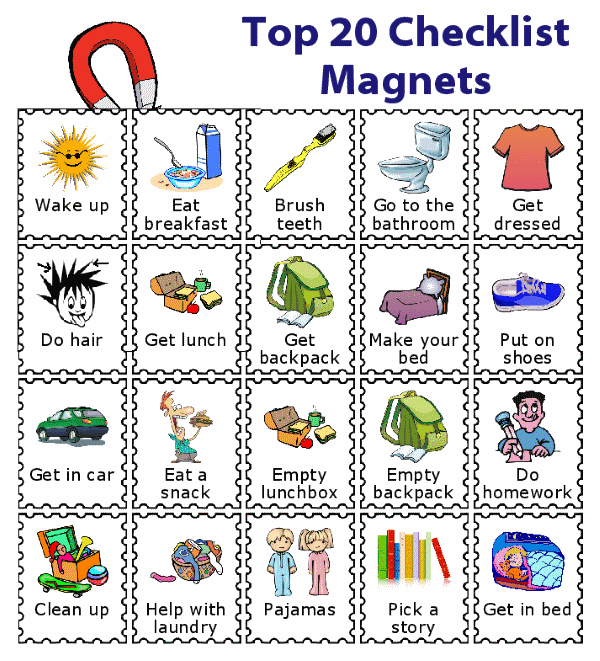 The magnetic checklist activity lets you choose your own magnets. 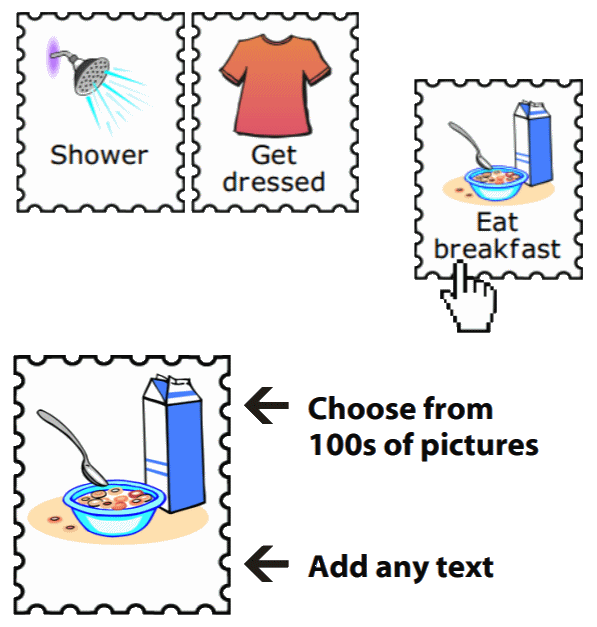 Then you print them on regular paper and attach them to the adhesive magnet sheets.